TORONTO April 4, 2015 – Tonight, millions of votes and countless rallying cries culminated in North Saanich, B.C. 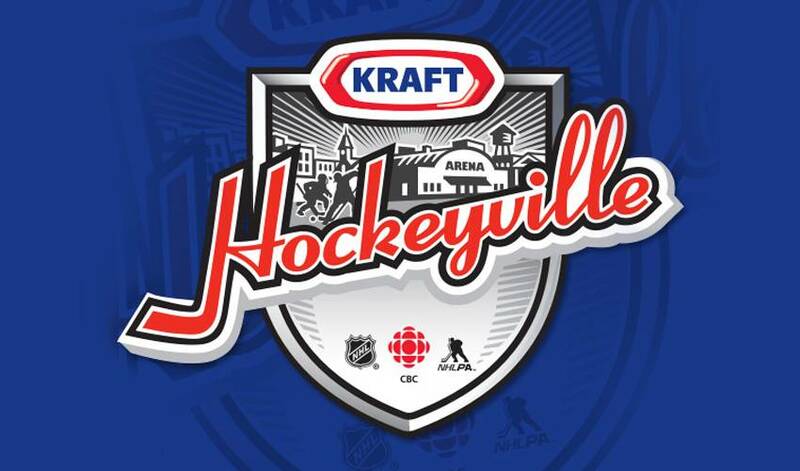 being named Kraft Hockeyville 2015 in Canada. During a live spot on Hockey Night in CanadaTM, NHL® commissioner Gary Bettman announced that North Saanich will receive the opportunity to host an NHL® Pre-Season Game between Vancouver Canucks and San Jose Sharks, and $100,000 to build a dedicated home-team locker room in their arena. In its ninth season, Kraft Hockeyville remains committed to investing in community arenas to help keep the game alive from coast-to-coast. The Panorama Recreation Centre Hockey Arena plays an essential role in bringing together fans, friends, and family in North Saanich. The centre is home to the Saanich Peninsula’s only hockey facility; however, it does not have a dedicated home-team locker room where players can store their equipment and join together before and after games. In its quest for the Kraft Hockeyville title, the community organized several events, including a voting party at the rink with free skating, and received an outpouring of support from many local organizations. The top 10 communities that will receive funds to improve their local arenas include: Dawson Creek, B.C. ; North Saanich, B.C. ; Bonnyville, Alta. ; Morinville, Alta. ; Morden, Man. ; Chatham-Kent, Ont. ; Haliburton, Ont. ; Saint-Joseph-de-Beauce, Que. ; Middleton, N.S. ; and Happy Valley-Goose Bay, N.L. From change room repairs to access to better ice surfaces, each community shared a different, heart-warming story about the upgrades needed to keep hockey thriving in their hometown. Local arenas have a significant impact on shaping communities across Canada and, in turn, these communities have defined the spirit of hockey. Repairs and upgrades to these rinks are crucial to maintaining a critical part of Canada’s cultural identity. This year, a total of 1,037 community stories were submitted, 10 of which moved on to the voting rounds. Across two voting rounds, Canadians cast millions of votes, finally narrowing the field to one. Chatham-Kent, Ont. is the second place community.